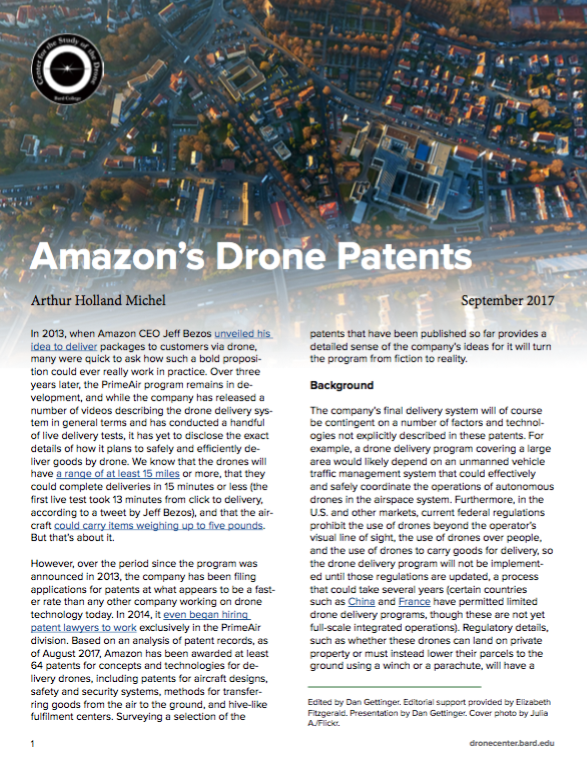 Today, the Center for the Study of the Drone published “Amazon’s Drone Patents,” a survey of the more than 60 patents that Amazon has been awarded in recent years for its planned drone delivery program. The study found that the company appears to be looking to build a variety of different delivery technologies in order to accommodate a range of different operating environments and regulatory landscapes. Taken together, these patents represent a wide range of innovations that will have implications for a variety of industries beyond parcel delivery.